I have to say, if you have been following my blog for a while, you will know that my kids are REALLY picky eaters. My youngest is the worst, although he plays travel hockey (2 teams) and is ALWAYS hungry. He loves mashed potatoes, which I have to say, is really all I ate, when I was pregnant with him. I’m not stating it’s related, it’s just hard to deny. So, this is my go-to recipe, before a hockey game or tournament, became he will eat it– because it has mashed potatoes. 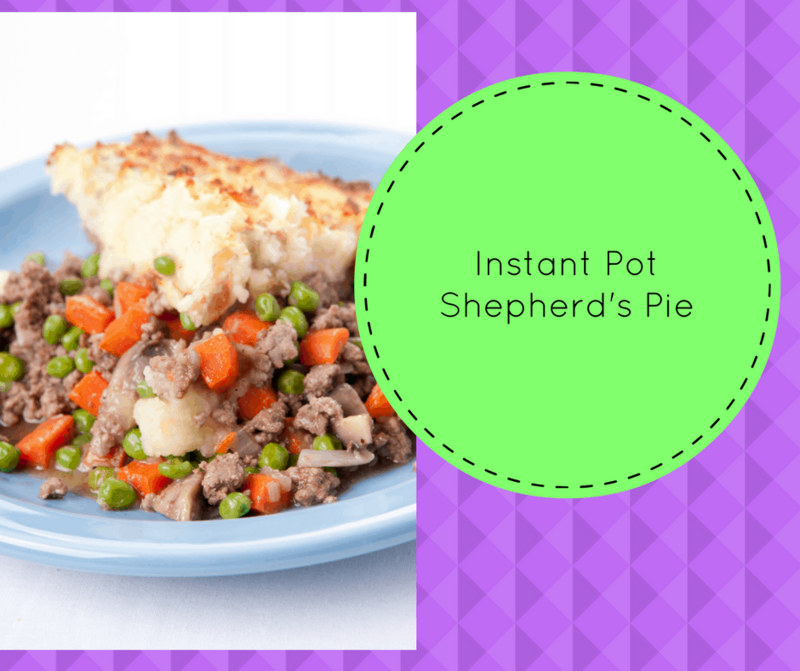 I tried this last week with the Instant Pot, I had to tweak it, a bit, and this recipe is pretty darn good. (alright-delicious). I hope you and your family enjoy! In the Instant Pot, place the potatoes, water, salt and pepper. Place the lid on and set the time for 8 minutes on high pressure. Drain the potatoes, place them in a mixing bowl with the egg, salt, garlic powder and butter. Mix well, until they are mashed. Rinse out the Instant Pot, then put in the ground meat and saute for about 4 to 5 minutes, until it is brown. Drain the oil from the meat. Then add the carrots, onions, peas, mushrooms to the ground meat. In a small mixing bowl, combine the flour and the broth, to make a rue. When it is well combined add it to the beef/vegetable mixture--stir well. Top off the beef mixture with the mashed potatoes (should look like mashed potatoes at this point), spread over it, and set the high pressure to 10 minutes. Do a quick release when it is done cooking, serve and enjoy!